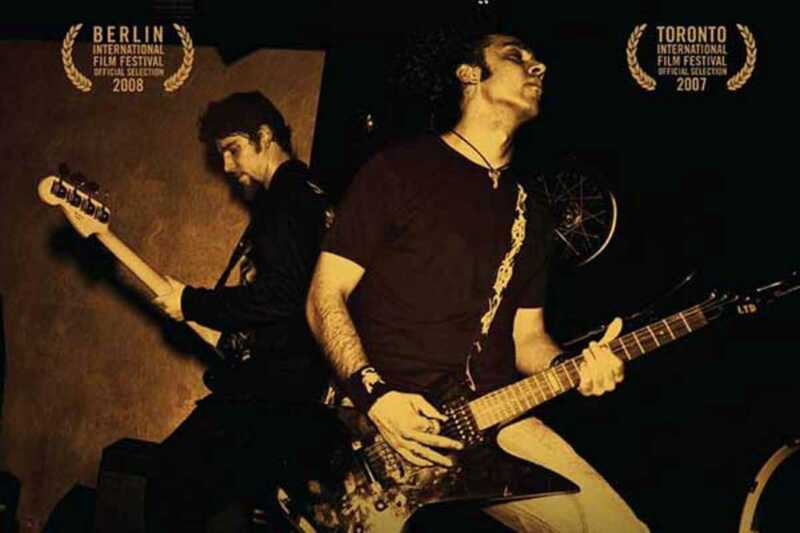 Tonight’s showing is Heavy Metal in Baghdad (2007), a rockumentary on Iraq’s only heavy metal band Acrassicauda. The film evolved out of a 2003 article on the band in Vice. In 2005, following the fall of Saddam Hussein, the magazine staged a concert with the band and, in 2006, Vice cofounder Suroosh Alvi and filmmaker Eddy Moretti returned to Iraq to document how the war was affecting the band, providing a compelling look at the death and destruction of the conflict. Following the documentary’s release, the filmmakers campaigned to raise funds to relocate the band and in 2009 the band resettled in the US as refugees.